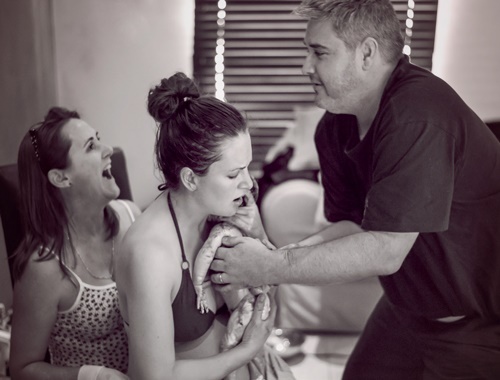 Nelia Strydom shares her journey of birthing baby no. 2, and found that it's not always a quicker delivery the second time around. Saturday, 21 November 2015 marked 39 weeks in my second pregnancy. Time had flown by and my to-do list remained long before I was ready for baby number two to enter the world. This particular Saturday was very busy too and I had been running around a lot. Expecting this baby to arrive late like his brother, I was quite surprised when my waters broke just after 6pm that evening. Since contractions hadn’t started we decided to carry on with the evening’s braai with family. They even helped us set up the birth pool. The midwife, birth photographer and my mother (who was also babysitter for older brother) were notified, but contractions would only start a few hours later around 9pm. It was a relaxed and enjoyable evening. By 10pm the family left and I went to put our son, Kaleb, 3, to bed. He still nursed to sleep, which helped strengthen the contractions. Everyone arrived to a calm house with dimmed lights and music playing. I was looking forward to this! I spent some time talking to my midwife and birth photographer while bouncing on a birth ball to encourage baby’s descent. 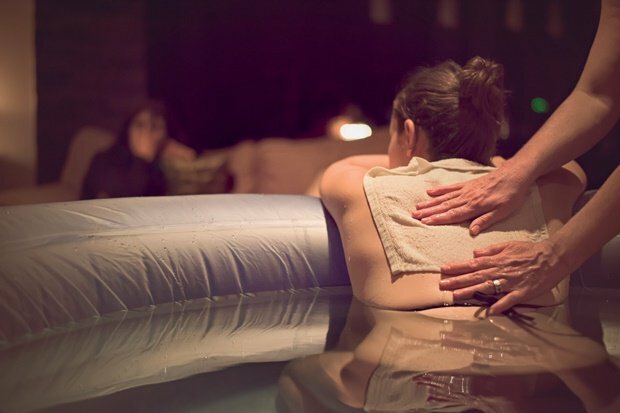 My midwife invited me to get into the birth pool. The inflated pool and warm water were so comforting and relaxing. From this point, the hours just started passing by. I closed my eyes, listened to the music, drank some fluid every now and again. I changed positions to encourage contractions, with my husband and midwife topping up hot water from time to time. Our son slept most of the night and my mom stayed with him when he woke in the early hours of the morning. The birth of our first child was also at home with the same midwife. It was under slightly more challenging circumstances as he was in a posterior position making for a longer back labour. I also didn’t have a proper birth pool and therefore believed the second time around would be far quicker. So I was taken aback when I was still in labour quite a few hours later. After a while, my midwife suggested I get out of the pool, but I resisted at first. She also gave me some homeopathic remedies regularly to boost contractions. I remember the light of dawn and birds starting to chirp outside as the sun came through the blinds. The others struggled to stay awake, but my midwife stayed with me, always rubbing my back and arms, combing my hair, putting a wet cloth on me or waving cool air towards me. It was comforting. When I got out of the pool for the first internal examination, around 5am, the pain was quite difficult to handle. 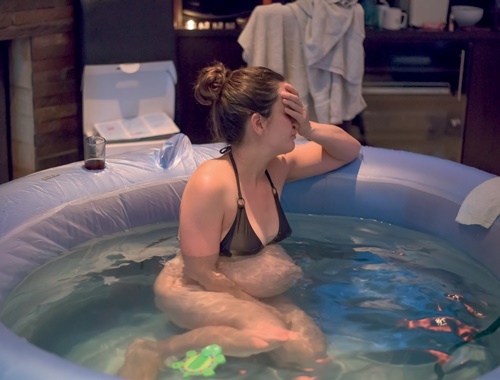 How risky is a home birth? I was 8cm dilated, but baby’s head was still high. After returning to the pool for some time, my midwife urged me to get out at least until pain as progress, but dreaded the next one. The midwife was standing behind me to support my legs during contractions. Another examination found I was fully dilated, but that the head was still high. I started pushing to assist in baby’s descent, then my midwife felt a second bag of waters. Another push and my waters popped. Immediately after, my husband and midwife were encouraging me to get into the pool, but I couldn’t focus nor resist the involuntary, uncontrollable urge to push. A chair was brought closer to my midwife and I, as we were getting tired. But before she could move out from behind me to catch my baby as he entered the world, I sat her down on the chair, as my legs were too tired to do it alone. The midwife said to my husband, “Are you ready to catch this baby?” He held his hands in place, ready to catch as the baby descended. The pain was relatively gone by this point. I felt with my hand as the head emerged, then the shoulders came and we pulled him onto my chest. A perfect baby, Ethan! We delayed clamping for four minutes and had stem cells collected. I lay down on the couch with a very alert Ethan still on my chest. During this time, my mom and our son came out so he could meet his little brother. He looked very brave and excited. He was no longer our baby and only child. We were now parents of two beautiful boys and felt on top of the world! What's your birth story? Share your experience with us by emailing to chatback@parent24.com and we may publish your story.